In one year I’ve gone from never having tofu to eating it at least once a week. It’s so versatile and goes well with just about everything, but especially curry. 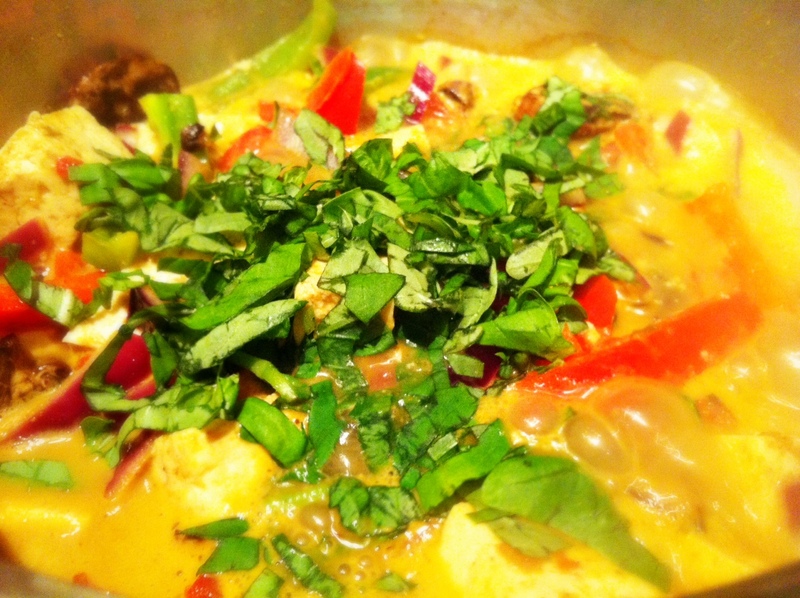 The tofu really takes on the flavors of the curry well. 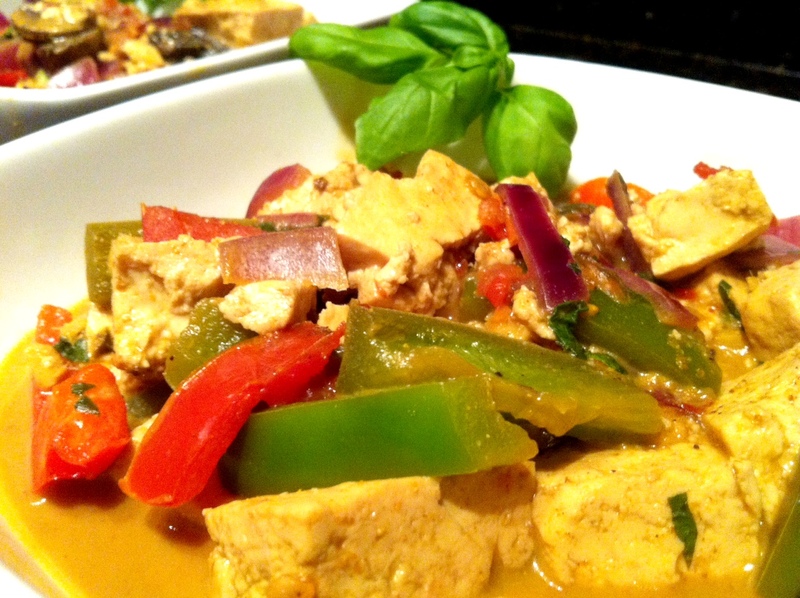 Pair the tofu with coconut curry and vegetables and you’ve got a quick meal of Tofu Coconut Curry that’s loaded with nutrients and low in fat and calories. In a large pot over medium heat, mix coconut milk, curry powder, soy sauce, brown sugar, chili paste and ginger. Bring to a boil and let simmer for 3 to 5 minutes. 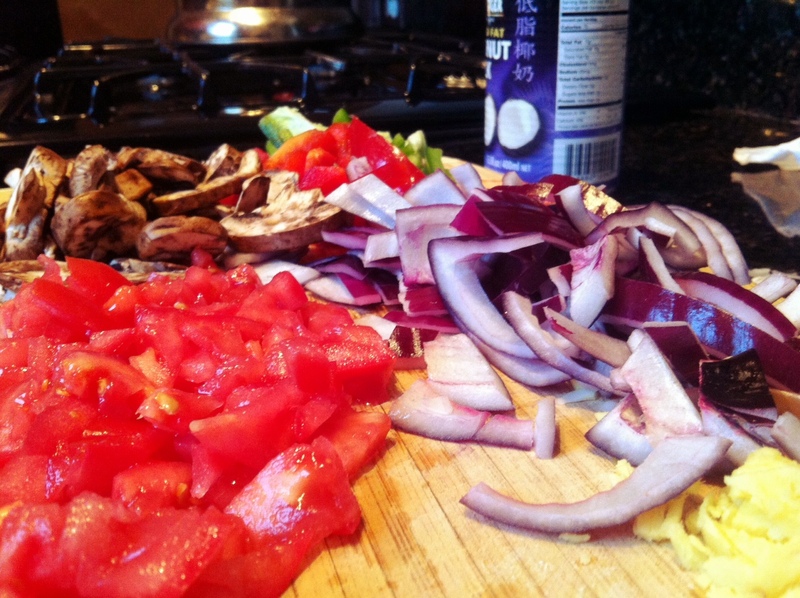 Add tofu, bell peppers, onion, mushrooms and tomato. Combine all ingredients, cover and cook for 5 to 7 minutes, stirring occasionally. Mix in basil. Season with salt or more soy sauce to taste. Continue cooking for an additional 5 to 7 minutes or until vegetables are tender, but crisp. Garnish with additional basil and serve over rice, if desired. Make sure to thoroughly coat the tofu in the curry sauce. This recipe is quite spicy. My nose was running after eating it and my palate and body are quite accustomed to spicy food. Also, the vegetables I used are just a guide. Feel free to experiment with a variety of veggies. I love tofu! Hadn’t tried it until this year, but now I’m a fan.